It’s got a rhythm about it, soft little syllables that trip off the tongue, and that part of the name that makes you think instinctively, if a bit waywardly, of hippies. 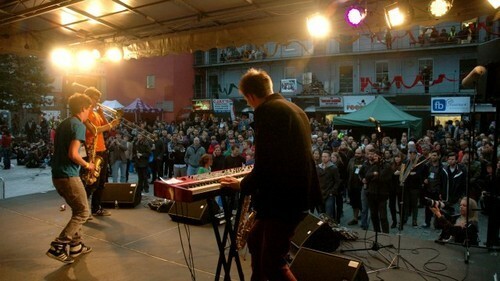 Yes, it’s the Tampere Jazz Happening, and its programme for this year has just been announced. And this year the festival has been chosen as festival of the year by the Finland Festivals organisation who promote festivals all over this fascinating jazz-mad country. The happening is based in just two venues, in the Finnish industrial city north-west of Helsinki, a less rainy, more snowy version of Manchester. The venues are just across the square from one another, a stone’s throw from the city’s train station. One of these is pretty small, a little restaurant with a hothouse atmosphere, not surprising perhaps as there is a sauna elsewhere in the building. But, as it’s Finland, that’s maybe not that unusual. The other is a medium sized concert hall with a club space attached. Tampere has a reputation for being “cutting edge", but that’s slightly deceptive as its remit is very wide within creative music, and it’s not a small area of whatever that trickily serrated genre actually is. The Happening is just a great festival over a weekend that usually includes a local holiday, and if you want to escape the UK in early-November you’ll have a whale of a time. Acts this year include just one UK representative, the go-ahead prog-y firestarters WorldService Project, who presented a great festival called Match & Fuse in London earlier in the year, and will be be touring in the UK soon with the highly promising Norwegian outfit, Pixel. 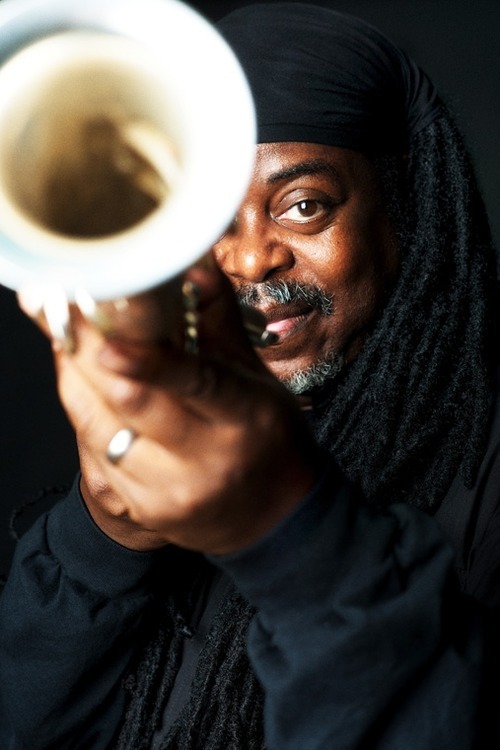 It’s always an event and a sense of occasion when Courtney Pine releases an album. And House of Legends, the saxophonist’s latest, is no different. There is a chameleon-like trajectory to Pine’s career with huge stylistic shifts in recent years but the new album to be released on Destin-e World Records on 15 October is a return to the Caribbean, although very different to earlier albums such as the reggae-based Closer To Home. 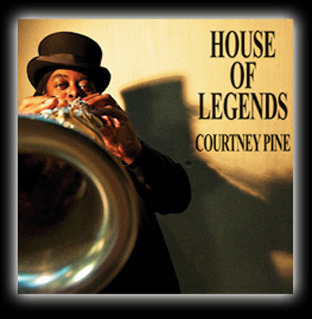 In this the 50th year since Jamaica gained independence from Britain Pine intends this album to be a pan-Caribbean exploration, and playing soprano saxophone rather than bass clarinet on recent albums he tackles merengue, ska, mento and calypso on House of Legends with a different band as well. 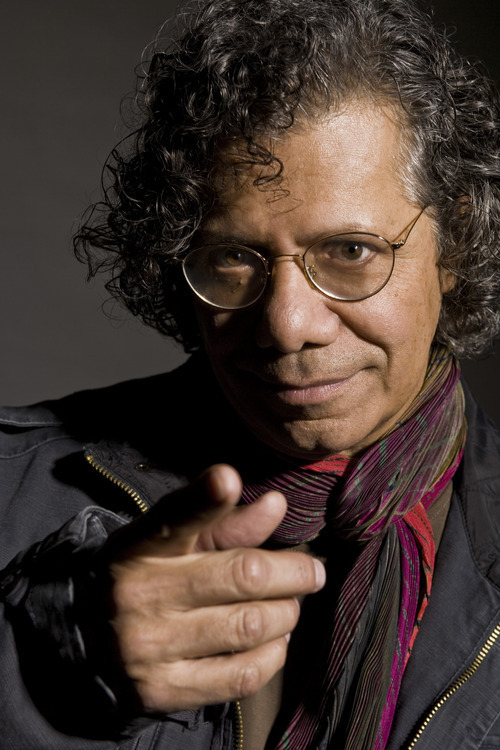 For instance, in comes French Martinique pianist Mario Canonge, in also comes Ghanaian bassist Miles Danso, Jazz Jamaica drummer Rod Youngs, and stalwart guitarist Cameron Pierre is back in the fold once more. Look out for Jamaican legend Rico, flautist Michael Bammi Rose and trumpeter Eddie Tan Tan Thornton guesting, and many more great players on the record including pianist Mervyn Africa, steel pan player Annise Hadeed, guitarists Lucky Ranku and Dominic Grant, trombonist Trevor Edwards, trumpeter Mark Crown, flugel player Claude Deppa, Robert Fordjour on the unusual cajon-like dube invented by footballer Dion Dublin, and a string quartet. The first track, ‘The Tale of Stephen Lawrence’, is Courtney’s conscious meditation on the racist murder of the London teenager Stephen Lawrence in the 1990s. I well remember at the open air Jazz on a Summer’s Day festival in Alexandra Palace in 1993 not long after Lawrence was killed Courtney speaking out about the murder from the stage. He was one of the first artists to do so. Later tracks move to the music and culture of the Caribbean, first to Jamaica on ‘Kingstonian Swing’, then on ‘Liamuiga (Cook Up)’ to Saint Kitts and Nevis and the world of the Carib Indians. Courtney organised a competition with the help of a local radio DJ in St Kitts and Nevis to rename this track and this is what local person Wallis Wilin came up with. ‘House of Hutch’, the fourth track is about Grenada singer pianist Leslie ‘Hutch’ Hutchinson, not the better known Jiver Hutchinson, but the man who became a popular entertainer and moved in high society during the war, and who sang a bit like Ivor Novello. ‘Ca C’est Bon Ca’ is the Dominican part of the album, a lovely romantic dance tune in a style the French call “zouk love", which Courtney dedicates to his wife. Notting Hill carnival founder Claudia Jones is celebrated on the sixth track, bearing her name, and ‘Song of The Maroons’ takes on a further historic Caribbean dimension with its referencing of Cimarron runaway slaves, while companion piece ‘Samuel Sharpe’ is about a slave who became a preacher later to organise the Christmas Rebellion in 1831 in Jamaica. 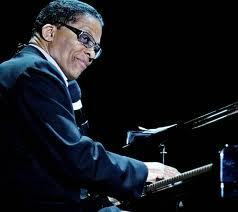 Courtney also on the album explores the oral tradition of passing on acquired knowledge on ‘From the Father to the Son’ and says in the notes: “As a jazz musician I have been fortunate to have shared moments with many great teachers. I could not do what I am doing without their guidance." The final official track is ‘Ma-Di-Ba’ dedicated to Nelson Mandela, and the bonus track is the infectious choro ‘Tico Tico’ written by Zequinha de Abreu, which is a superb way to end this fine record, the only non-original, with all the other tunes written by Courtney Pine. The album is dedicated to Harry Beckett and Andy Hamilton MBE. Courtney launches the record at Islington Assembly Halls in London on 19 October with his band. It promises to be quite a night. Back in 1980 when there actually still was a country called Yugoslavia, Georgie Fame was invited there for the first time to sing with a local big band. The bass player from that outfit, Mario Mavrin, turns up on this record of a dozen tunes, Fame explains in the notes to brand new album Lost In a Lover’s Dream released on Fame’s own label Three Line Whip, as does quietly accomplished Slovenian guitarist Primož Grašič who Fame also knows from his visits to the Balkans. Fame clearly relished playing at the Bosko Petrovic Jazz Club in Zagreb, and this album was recorded not in Croatia but Slovenia earlier this year, clearly a memento of happy days all these years on. Released on 8 October. 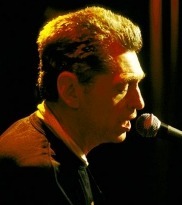 Georgie Fame pictured top tours in November. Dates are: The Grand, Clitheroe (7 Nov); The Platform, Morecambe (8 Nov); Buccleugh Arts Centre, Carlisle (9 Nov); R&B Club, Mickleton (10 Nov); Floral Hall, New Brighton (11 Nov); Subscription Rooms, Stroud (13 Nov); Millfield Theatre, Edmonton (14 Nov); Ropetackle, Shoreham by Sea (15 Nov); Capitol, Horsham (16 Nov); Gulbenkian, Canterbury (17 Nov); The Globe, Cardiff (19 Nov); Palace Theatre, Paignton (20 Nov); Electric Palace, Bridport (21 Nov); Cheese and Grain, Frome (22 Nov); and Sturmer Hall, Haverhill (24 Nov). It’s the biggest ever London Jazz Festival this year, very possibly the biggest the country has ever seen, held at dozens of venues across the capital. Tonight the full printed programme is released at a reception in Kings Cross and as well as new stars in the making this year as ever, there is also a great range of European acts, a vibrant club programme, and the biggest names in international jazz including Sonny Rollins, Herbie Hancock, Brad Mehldau, Esperanza Spalding, John McLaughlin, and Jan Garbarek at venues all over London including the Royal Festival Hall, Barbican, Kings Place, Ronnie Scott’s, the Vortex, Pizza Express Jazz Club, Hideaway, the Forge, Arts Depot, and St James’ Piccadilly. If you’re thinking of making the most of the festival across the capital here are some highlights in store to whet your appetite, but do check out the full programme and the festival’s website as there is a huge amount of jazz taking place for 2012 across the 10 days not to mention many talks and family-friendly events as well.